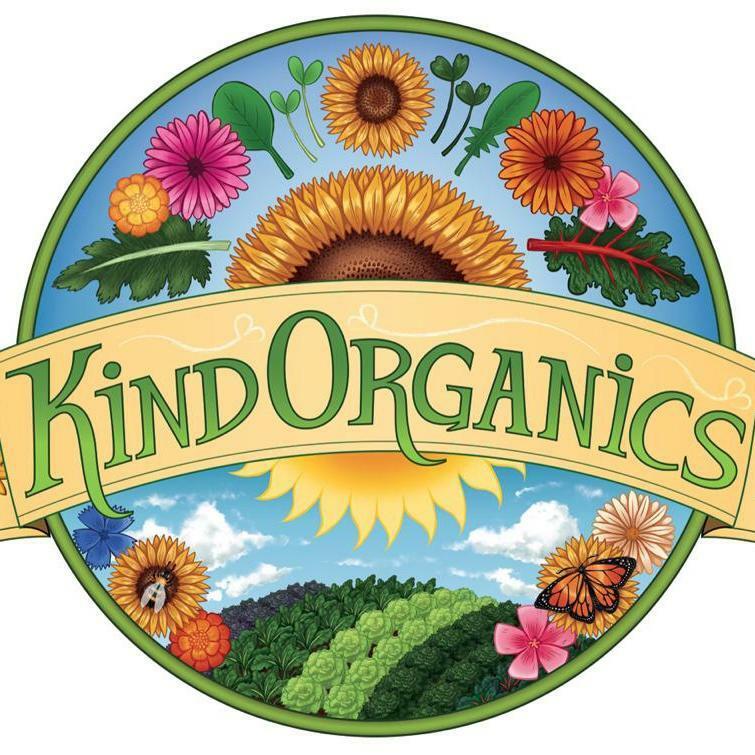 Kind Organics was formed in 1999 as a Demeter Certified Bio-Dynamic/Organic Farm. The farm was located on a 100 acre rural property in King Township. Kind Organics ran as a 20 member CSA share farm for two years. They then moved 40 minutes north of Toronto, to the Holland Marsh area of Southern Ontario. Kind Organics grow many type of greens, herbs and vegetables. They produce certified organic, pre-washed Salad Blends, Sprouts, Wheat Grass, Micro Greens, Fine Culinary Herbs, Edible Flowers and various kinds of Baby Greens. They use organic farming techniques and don’t use GMO seeds in anything they grow. The farm is located on a small rural property; prior to moving there in 2009 the land had not been farmed for almost 20 years. In 2010, they expanded from the use of 6 2000 sq foot greenhouses and 3 acres of land to 9 greenhouses and 4-5 acres. Kind Organics is also a certified Bee Friendly farm! Bee Friendly Farming (BFF) is an initiative that encourages growers to improve the health of one of our most important pollinators – the bees. The “Bee Friendly Farmer” is an inclusive term intended to recognize Bee Friendly ANYONE who supports bees on all scales of landscape – farms, ranches, businesses, school groups, gardeners, beekeepers, local governments, non-profit organizations, on both private and public grounds. For maps to these farmers’ markets click here! No doubt Kind Organics is best of green herbs. Thanks, You have shared a very lovely story about Kind Organics. Thanks for sharing this information and keep on post such good information.